Pianist Daniel Hsu has met with more than a fair share of success in his comparatively young career. 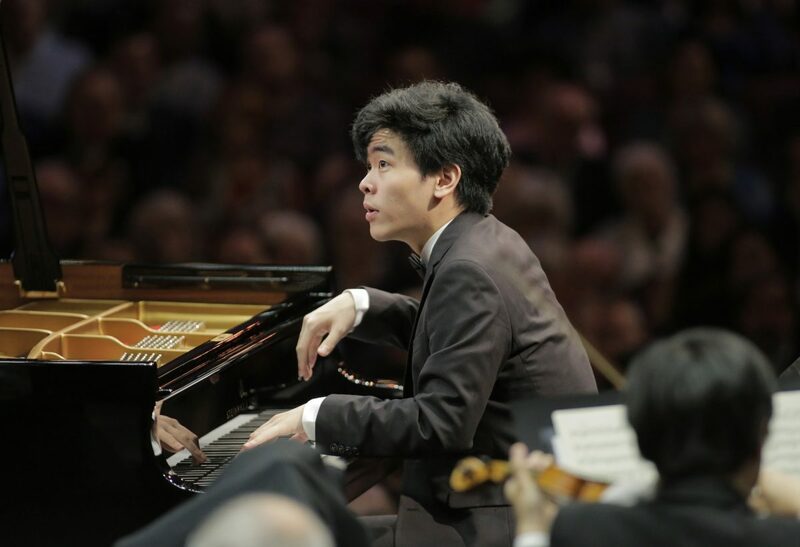 From his launching pad as a student of Gary Graffman’s at the Curtis Institute, the 21-year-old California native has already appeared as soloist with the Philadelphia Orchestra and Tokyo Symphony Orchestra, won first prize at the 2015 Concert Artists Guild Competition, and the bronze medal at the 15th Van Cliburn Competition, and just last year made his Carnegie Hall debut. As for how he’s developed his deeply refined aesthetics, he’ll be the first to say that everyone takes a different route, but that curiosity is the key. Hsu will be bringing his artistry to Soka University on December 2, performing a recital of Beethoven, Chopin, and Schumann. Of the selections he’s prepared, he thinks of the Schumann Fantasy in C Major as the recital’s centerpiece. Also on the program: Schumann’s Arebeske in C Major (“It’s the opus right after the fantasy, in same key, and I really love the pairing”), two works by Chopin—the Grand Polonaise and the Fantaisie in F major—and Beethoven’s Sonata No. 31. It’s an ambitious program forged out of a circuitous process. Interestingly, Hsu seems to learn the most about a work when he’s actually on stage playing. That said, the process comes with its own unique frustrations and challenges. Finding a way to recreate a great work in a way that satisfies both performer and listener is the perpetual challenge; a challenge Hsu is very familiar with. Having been an extremely active performer since his student days, he’s happier with his performances these days. Though it wouldn’t occur to him while he’s performing. In process, on stage, he’s enveloped in the work. Peter Lefevre us a contributing writer for Arts & Culture at Voice of OC. He may be reached at palefevre@gmail.com.